Top-quality /8" pin nails for the Grex P63 and P60 23-guage Headless Pin Nailers (26881 and 18, sold separately). Pack of 2,00. 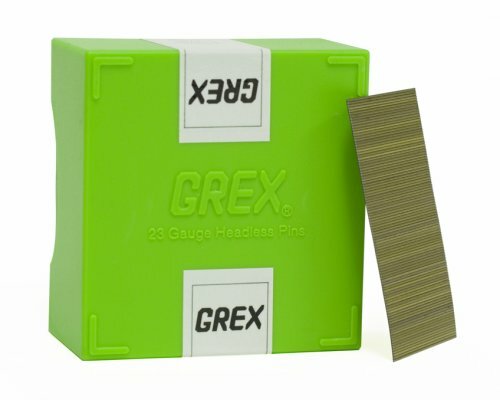 All Grex 23-gauge pins are manufactured and tested to ensure accurate dimensional specifications, optimal material composition and dependable collation of pin strips. Caution: Loading fasteners incorrectly will damage your equipment! 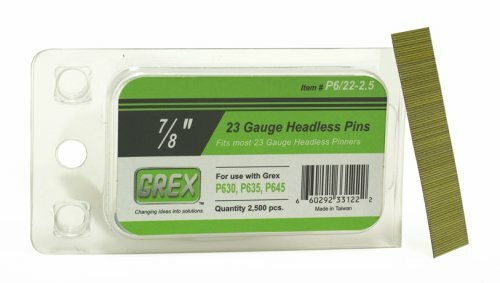 GREX 23 Gauge /8" Length Headless Pins, 2.M/Box. For use in GREX Model # P6, P63, P6, P6L, P60 & P60L. Product as expected. Works just fine. I have the GREX 635 pin nailer so I bought these pins for use in it. I have used these pins for many different jobs. I have used it to attach wooden cut-outs to my picket fence as well as for installing crown molding throughout my house. 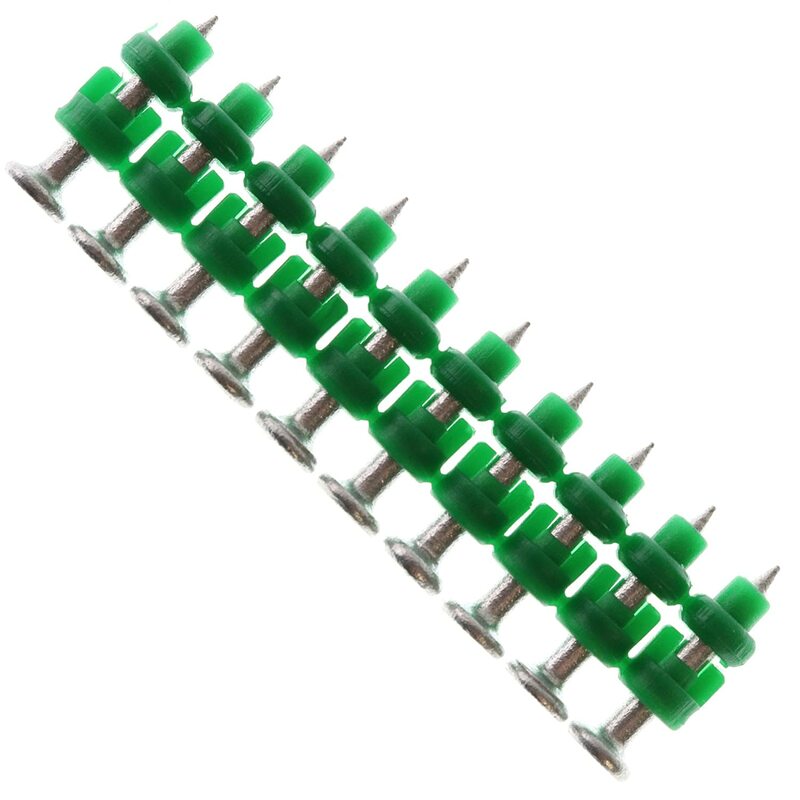 I never once experienced even a single pin jam, missfire, fail to insert below the surface of the wood or break. These pins have performed flawlessly and I highly recommend them.